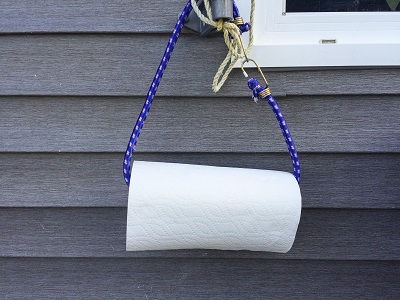 Make sure your Tiger Towel® paper towel is always within reach—no matter where you are—with this ingenious hack. 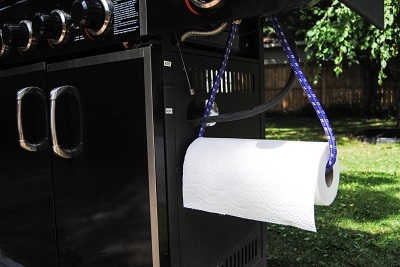 Slip a bungee cord through the centre of your ROYALE® Tiger Towel® roll to hang it anywhere. This solution is great for camping, RV-ing, saving space at the cottage and even tailgate parties. 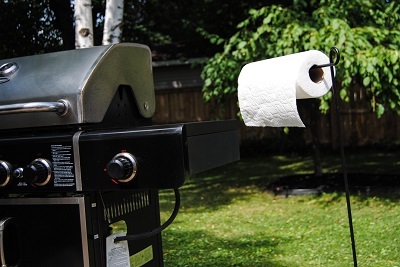 For cleanups during backyard BBQs and get-togethers, slide your Tiger Towel® roll onto the rail of a garden flag holder (where the flag would go), peg it into the grass, and you’re all set.